14th March, 2018, Cairo, Egypt: Following the conclusion of a successful two-day Cityscape Egypt Conference, the Cityscape Awards for Real Estate in Egypt illustrated advances in the real estate sector by recognising outstanding concepts in real estate development and architecture. 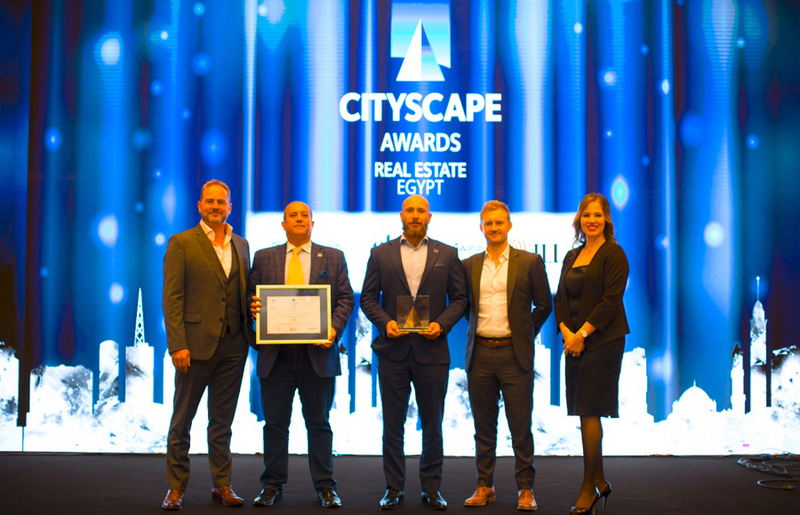 Cityscape Awards for Real Estate in Egypt took place last night at the Four Seasons Nile Plaza and celebrated 33 distinguished projects who were in the running for the converted awards, from culturally integrated city skylines to mixed-use urban communities from across Egypt. Sponsored by Maisonette Holding and JLL, the Awards shortlist consisted of some of Egypt’s notable developers and architects who went head-to-head in each of the eight categories. “The 33 names vying for top honours this evening are evidence of an Egypt on the cusp of a new era of design and innovation. 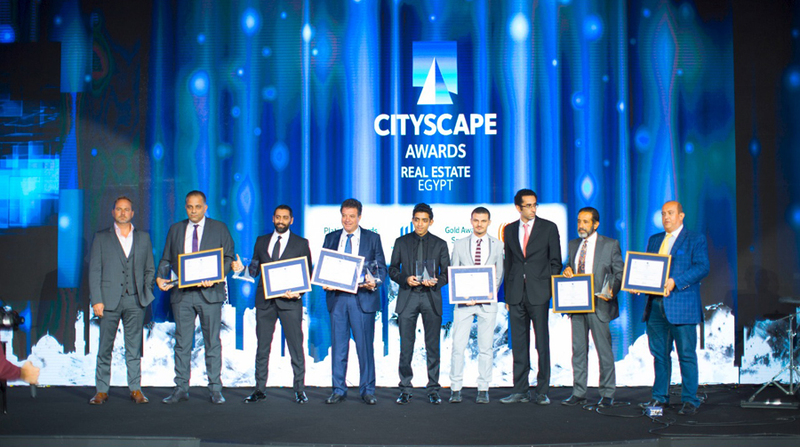 These projects epitomise the spirit and resilience of the country and all that its real estate sector offers,” said Iman Eissa, Cityscape Conference Director, at last night’s prestigious ceremony. Taking home the Commercial Project Award, was Palm Hills Developers for its Palm Central project in 6th of October City. While the highly anticipated Al Sheikh Zayed Grand Mosque, from Capital Group Properties, received the Community, Culture & Tourism Award. “This award is not only in recognition of our work but rather as an encouragement toward innovative architectural designs within the Egyptian Market,” said Abdelhalim Ibrahim CDC Principal of Abdelhalim, architects of the Al Sheikh Zayed Grand Mosque. Madaar Developments received the Leisure & Hospitality Project Award for its project Tucana, and Forty West, from developer SODIC, picked up the Residential- Low to Medium Rise Project (Built). “SODIC’s number one aim has always been excellence in providing the best experience possible to our clients and our society. We are both honoured and humbled to be recognised in such efforts,” said Ramy Raafat, Development Executive Director at SODIC. Rooya Group’s project, Hadaba, emerged victor in the Residential – Low to Medium Rise Project Award (Future). Hesham Shoukri, Chairman and CEO said it was a great honour to receive the award, which reminded them of their purpose in creating landmarks for the country. “We are so humbled to have been chosen, knowing that there were many qualified applicants. On behalf of Rooya Group and the entire team, thank you for continuing to support and encourage the Egyptian real estate market,” added Shoukri. Developer, OUD scooped the award Residential – Medium to High Rise Project Award for its development Korba Royal Residence, while the project Rviette by Al Ahly for Real Estate Development won the Retail Project Award. “Our vision is dedicated to serving not only our clients but the communities of the area with the best services at our disposal,” said Ayman Wagdy, COO at Al Ahly for Real Estate Development. Awarded the Marketing/Communication Award, was the project Degla Landmark by developer MEMAAR Almorshedy. For more information on Cityscape Egypt visit www.cityscapeegypt.com.